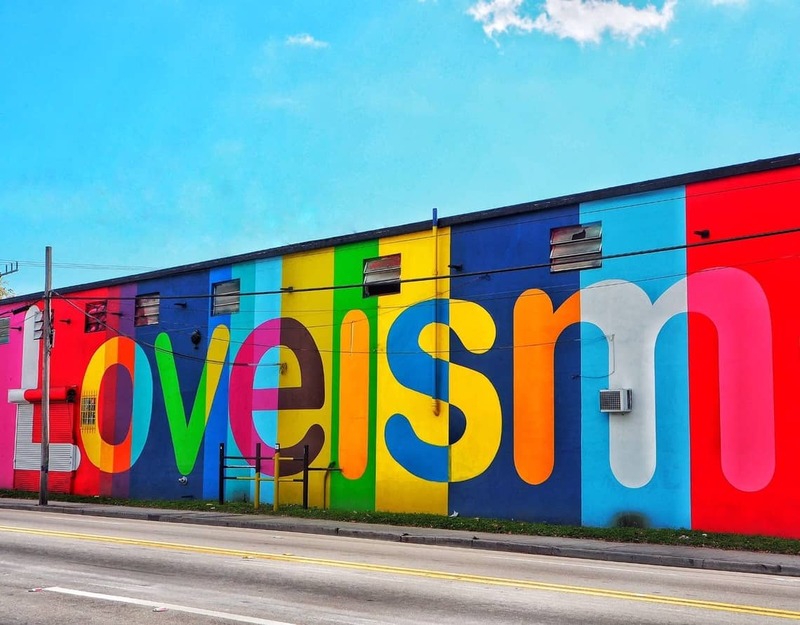 Wynwood Art District is a neighborhood in Miami, Florida that is home to over 70 galleries, museums and art collections. What’s unique about this particular neighborhood is that it has been transformed into a living art scene itself. 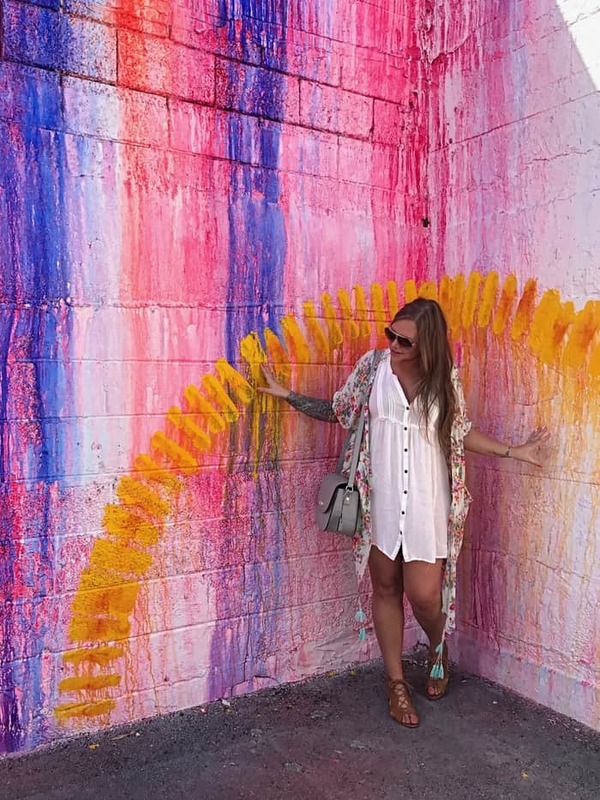 Artists from around the world have traveled to Miami to leave their mark on the Wynwood buildings. 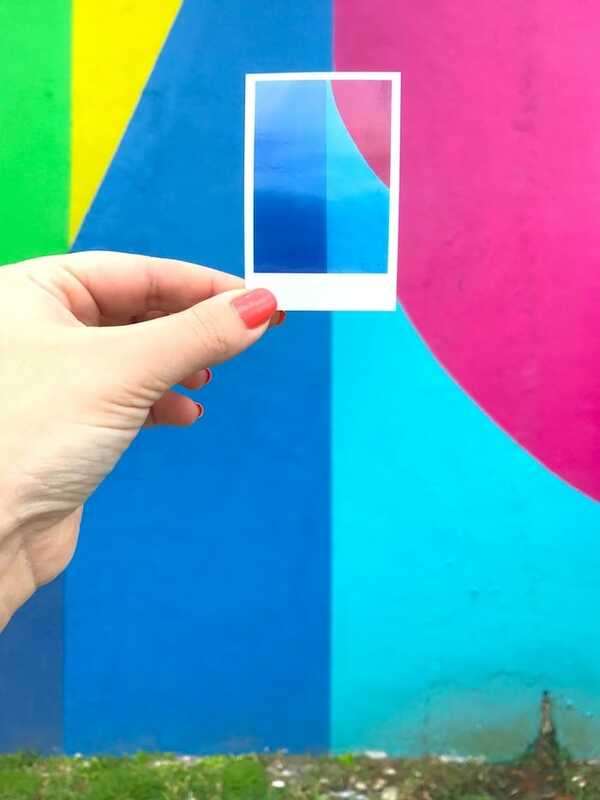 I recently spent the day exploring Wynwood with my friend Taylor from Travel Colorfully and my Polaroid Snap instant digital camera. 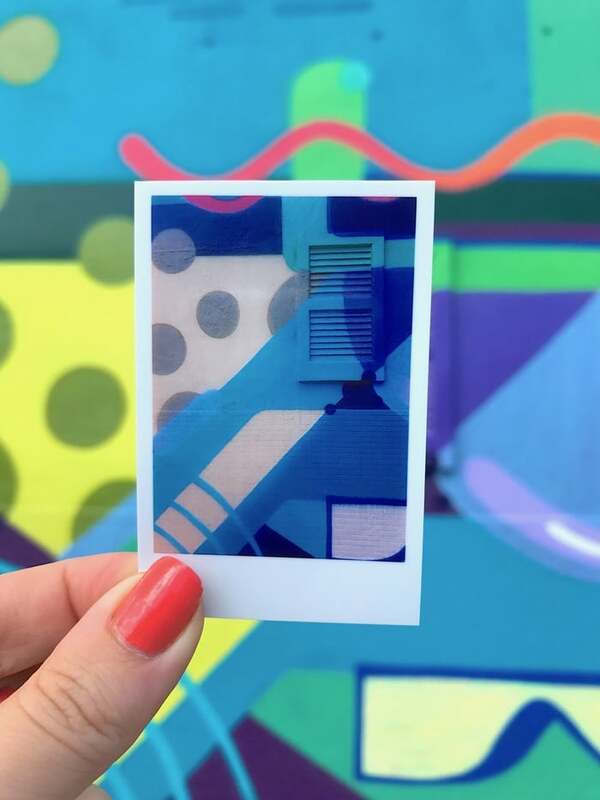 This area was the perfect place to snap some “photo in a photo” style pictures – while playing a game of “filling in the blanks” with my Polaroid photos against the murals. 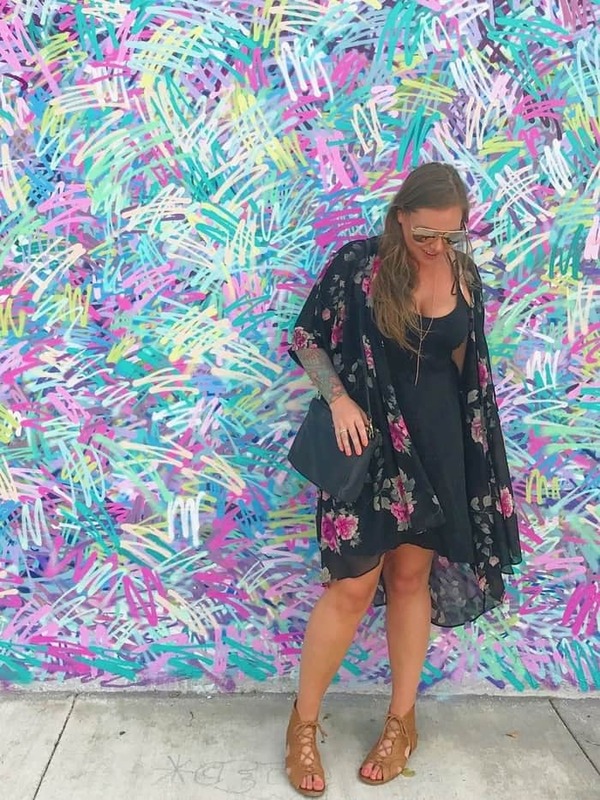 This mural was one of my faves because it was so MIAMI! 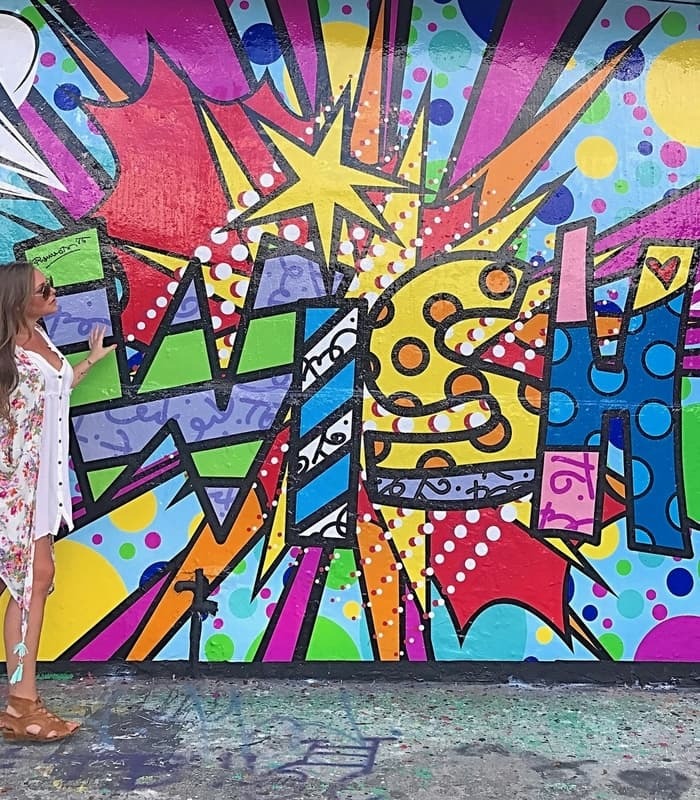 Filled with funky patterns and 50’s-esque pops of color, this mural was definitely at home in MIA. 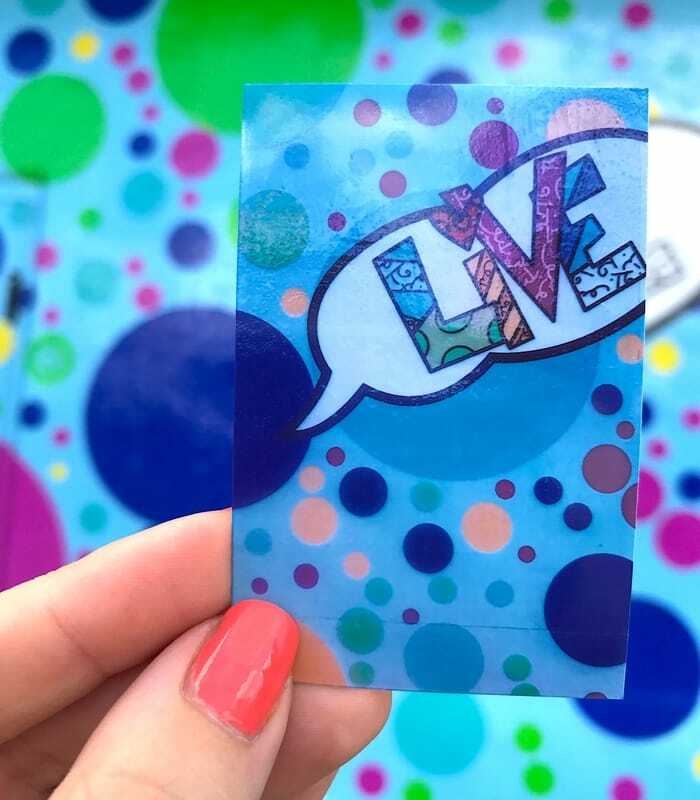 Does it get any more fun and colorful than this?! 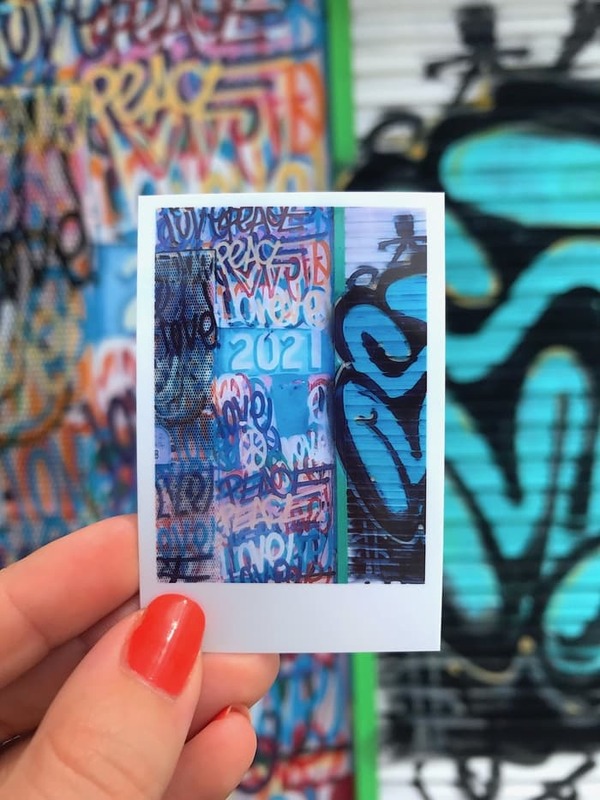 There are so many different art styles that can be found in Wynwood. 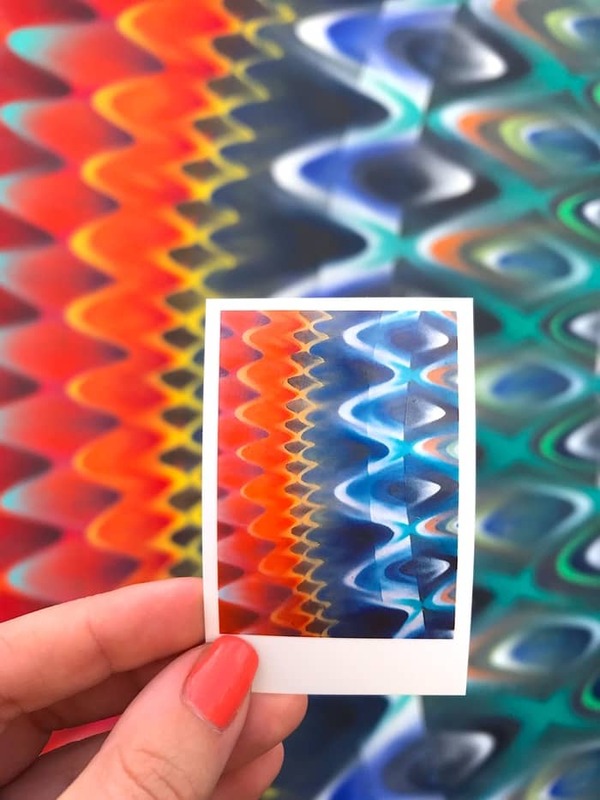 From abstract art to pop art to minimalism to futurism and just about everything in between. But what I love most about the murals in Wynwood is how VIBRANT most of them are. Regardless of the style or scene - many of the murals are full of fun colors. This wall was beautiful chaos, so of course it spoke to me. 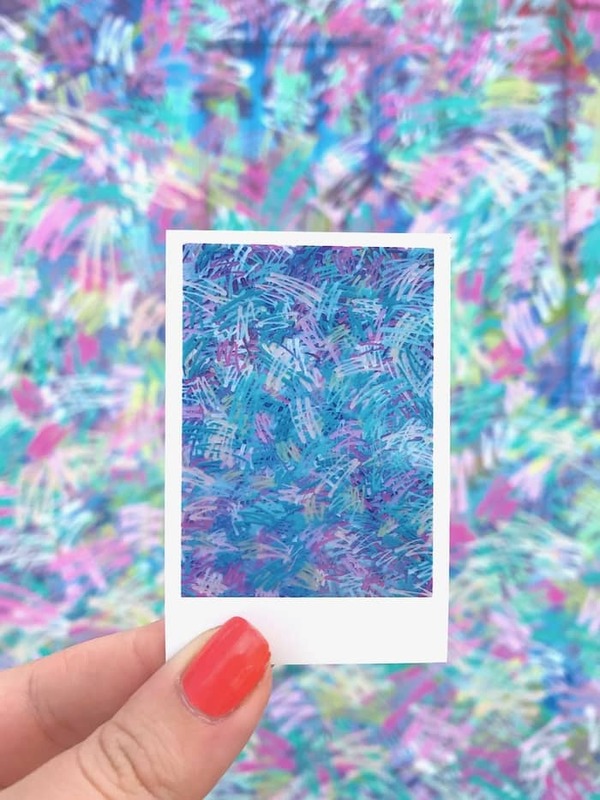 The colors, the squiggly lines, the overlapping - it was all just so fun and pretty! 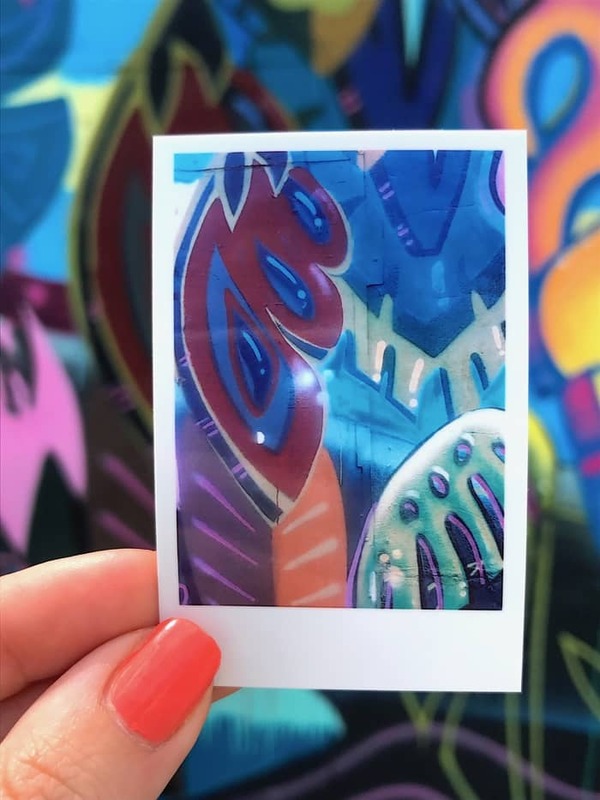 Polaroid is all about self-expression, creativity and innovation – which made it my go-to companion for capturing all the magic at Wynwood. It’s truly the perfect place to venture out in and just get lost. You can spend days exploring the area and not stumble across the same art twice. 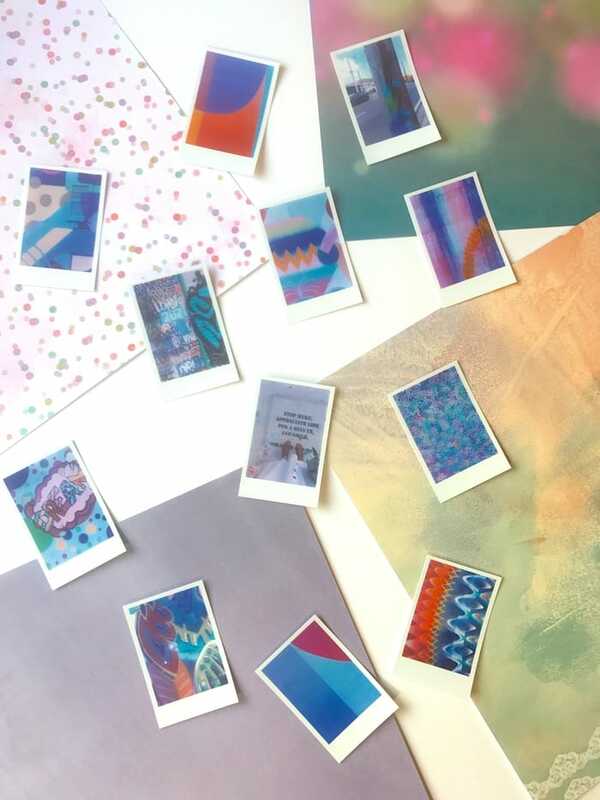 The perfect place to bring your Polaroid Snap instant camera to create some colorful memories to bring home! Here’s just a few of my favorite photos I took home. 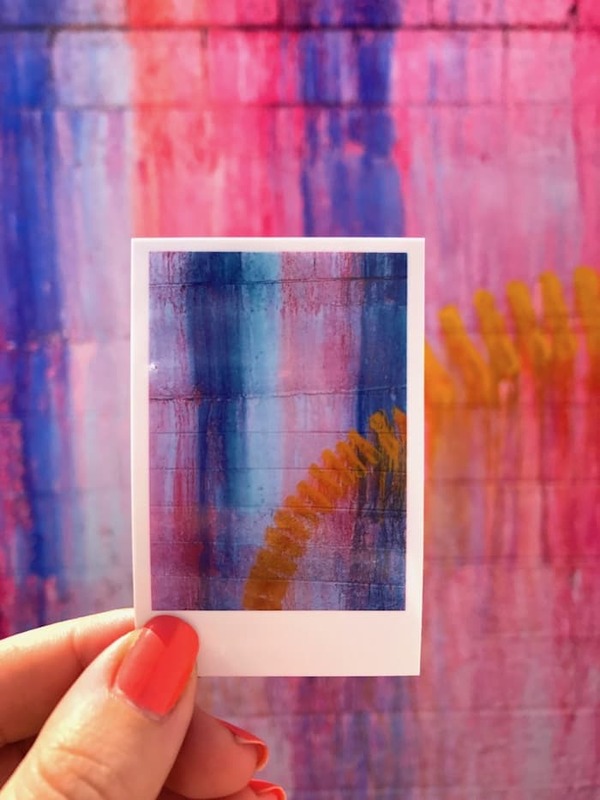 Don’t forget to head over to my blog for more photos from my day in Wynwood with Polaroid!